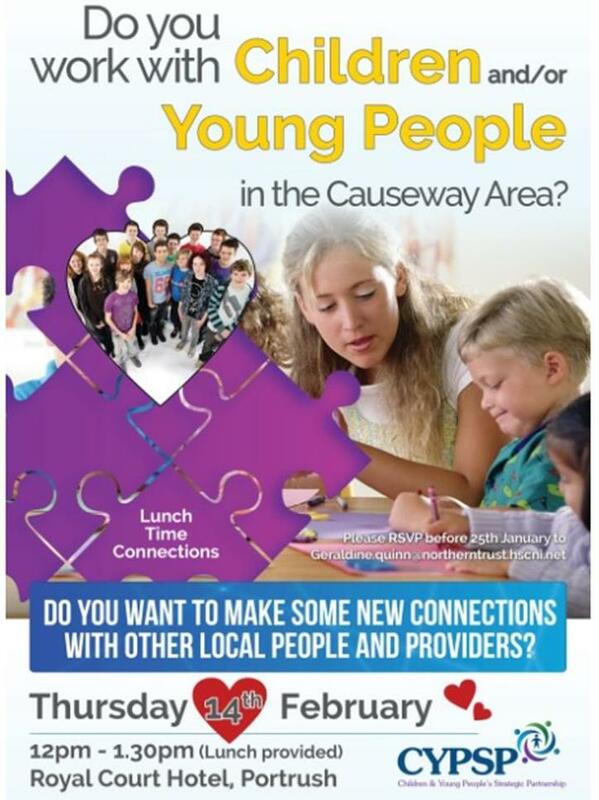 You are invited to attend our Causeway Connections Event on Thursday 14th February from 12pm- 1.30pm. This event will be an open space opportunity to get to know some other local providers in your area and maybe even meet your Valentine Work match , with a photo booth there to capture it all! You are welcome to bring a stand if you would like to promote your service. If you do not have a service locally but are keen to find out what is available in the locality, please RSVP to Geraldine.quinn@northerntrust.hscni.net to assist with numbers for catering and also so that we can share the directory of services after the event. This entry was posted in Uncategorized and tagged Bushmills LPG, news/events, northern-og by Valerie. Bookmark the permalink.